The following book review was written by Dana Jinaru. Dana is currently a finance student in Europe and also serves as a moderator for Beat The GMAT. On May 13, 2009 she scored a 770 on the GMAT. Here is Dana’s analysis of The Princeton Review Cracking The GMAT book. The Princeton Review Cracking the GMAT book is, like the Kaplan GMAT Premier Live Online book, a general GMAT strategy guide. However, apart from the natural similarities (such as separate chapters for the 5 types of problems you will see on the GMAT plus an essay section), the two books follow markedly different “paths to knowledge”. As advertised from the beginning, The Princeton Review Cracking the GMAT is not a guide that emphasizes building subject-matter skills in the quantitative or verbal fields, but rather focuses on what the authors call “cracking the system” – tips and tricks to help you score higher with an obvious preference for process of elimination (POE) and picking numbers. Personally, I do not fully support such strategies for the GMAT (I consider them more as backup plans). Here’s why: POE cannot and will never replace actually knowing the answer to a question, it will just improve your chances of getting it right. Picking numbers is also quite risky: I sometimes see this strategy discussed in online forums; people try to pick numbers, but particularly at an advanced level they pick the wrong set of numbers and everything falls apart. The book is a pleasant read though, and I personally found the small info boxes on the sides of pages to be quite entertaining and interesting. The authors use “the average test taker” for examples of do’s and don’ts. However, I didn’t like the authors’ tone for describing the GMAT – I felt an overall negative vibe about the test, which was not the case when I read the PowerScore CR Bible for instance. An example would come from the Reading Comprehension chapter: “No one in her right mind would ever read one of these passages of her own free will. They are almost always boring.” I strongly disagree with this view, since I personally enjoyed most texts, particularly those dealing with the social sciences. My advice is to think of the GMAT as a sort of mind game you have to beat, an interesting little challenge. I assure you that feeling positive about the GMAT will make the experience a lot less painful. At just over 280 questions, this book has fewer and easier practice questions as compared to other guides (like Kaplan Premier Live Online). Also the explanations could use some more work, particularly in verbal. I personally get really upset if the best explanation for why an answer is wrong is “because it’s out of scope”! This will definitely not help a test taker understand where her error in reasoning was! After going through The Princeton Review’s Cracking the GMAT book, all I can truly say is this: the book is good, but only for a certain level (that is, up to mid-600s). As a basic guide, it shines; as a tool for getting into that top 10 MBA, I do not think it delivers. 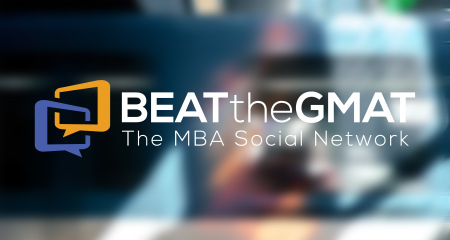 If you do not already know your starting level, I advise you to do the following: go to MBA.com, download the free GMATPrep software, and take practice test #1 (save #2 for the last days of your prep!). If you score significantly below 600, consider investing in this book. If you score higher than 600, you’d best search for a different resource since you’ll need a more rigorous program to get to a higher percentile score. If you’re interested in purchasing The Princeton Review Cracking the GMAT book, click here . Read more book reviews in the Beat The GMAT Book Recommendations section. If you liked this article, let Dana Jinaru know by clicking Like. this is a well rounded write-up. Thank you! I'm glad you liked my review! Be sure to check out the other books presented in the book recommendations section. Feedback for those is more than welcomed as well. Nice and informative review about the books.Really giving me an insight about these books.Pls keep up the good work..
What book do you recommend for me? I have been studying on average 6 hours a day for the last month. All 4 practice tests that I have taken (once a week) had a score of 550 (OG, Manhattan, Priceton, Kaplan, )! It really depends on your scaled scores for quant and verbal. I'm sure there's probably room for improvement in both sections (who doesn't have room for improvement? ), but I'd rather you shared them with me so I can give you more specific advice. Really like your reviews. I am in the process of starting full fledged for the test. I have purchased Manhatten SC, Powerscore CR Bible, Kaplan Live 2010, and the 3 OGs. I really want to score very high on GMAT and I have done decently well in the test I took on GMAT prep software. What advanced book do you recommend? I see that Kaplan Advanced is not something you rate highly. What book then? Also, I want to practice a lot of problems. I see that this Princeton Book is not very high in your regard and Manhatten Guides dont have many questions of their own. They just point to OG questions. What more sources do you recommend? I think for quant the MGMAT books are also pretty good. I've already reviewed them, but they haven't been posted up yet. The Number Properties and Word Translations guides are really good, the only ones of the 5 guides that I awarded 5 stars. For verbal practice, you can also use the Kaplan Verbal Workbook. I think there should be a long code written on the inside covers of each book. I have not registered a Princeton book up until now, so I don't know the exact steps. However, that's how it usually happens - or you can browse their official site for instructions. I want to take the GMAT next year, and I want to practice my math skills because I've never had any contact with GMAT tests, and after reading this review, I'm not so sure this book is right for me. Which book would you recommend if I'm aiming at a higher score? Probably the most complete set of books covering the quant section is actually the set of five books from Manhattan GMAT. The Princeton book is useful for the very basics, but it won't take you beyond that. Good luck! Thank You so much for these reviews. And that was a fabulous score indeed!..:-). Well, I am a beginner for GMAT and plan to give GMAT this September - 2011. So I have 7 months in my hand. I can put in 4-5 Hours Daily till September. I really want to score above 750. 1) Official Guide 12th Edition. 2)Verbal Review 2nd Edition. 3) Quantitative Review 2nd Edition. 4) All 8 Manhattan GMAT 4th Edition Guides. 5) Official Guide 11th Edition - Verbal. 6) Princeton Review GMAT Manual - Version 8. 7)Princeton GMAT Verbal Workout. and 8) Kaplan Verbal Practice sets and Grammar Book. I would sincerely appreciate your advice if these books are enough to attain my desired score? Also, a brief strategy that you can give considering the time that I have in my hand. I am willing to put more hours if needed. Please guide me. I am really willing to work as hard as needed to get my score. I feel like the resources and time you plan to put into your prep might lead to burnout. The stuff you have is quite a lot, so it should be sufficient to get you to your desired score, but I would advise you to avoid doing too much. You're going to reach your peak at one point and anything you do beyond that is just going to be detrimental to your performance. I think you can safely use the MGMAT guides and the official books to get to a pretty good score. In case you still need more practice, you can use the rest. Dear Dana...Thanks so much for the prompt reply. Really appreciate it. 1. About practice tests - How do you think should I space out the practice tests (in timed conditions) .. Once a week / once every two weeks? What was your strategy? 2. How many tests would you recommend overall (considering I am a beginner) before giving the second test from the GMATPrep software (which gives a clearer picture of how my actual GMAT scores would be)? 1. Practice tests should not be taken more than once a week. If you really plan on studying for 7 months, then take one test now to figure out your weak areas, study for about two months and then take tests once a week or once every two weeks. Given the amount of time involved, you probably want to take one test every two weeks to gauge your progress and your timing. 2. Overall, I don't feel like you should take too many tests. Maybe 6-7 at most? This is a recommendation based strictly on the fact that you have so much time on your hands. If you had less time, then I'd recommend even fewer. Tests don't really teach you anything, since you need to study theory and do practice before anything else. ts been a few years since I last opened a math book so I'm a bit rusty. Can you suggest something that will put me up to speed? I took my first practice test yesterday and it wasn't pretty. I am currently using "Princeton Cracking the Gmat" and "OG 12th ed." Are those enough or should I be using other resources? I have 2 months to prepare for this. I really want to do well on this test (600-620), so I would really appreciate the help. The Princeton Review book is a bit more basic, so it should help at least in the beginning. If you feel that after a month your practice scores haven't increased, then go ahead and buy some other resources, like the Manhattan GMAT set of 5 quant books. Hi Dana, I have read your reviews on many books and found them helpful. Could you review the book - GMAT Analytical Writing: Solutions to the Real Essay Topics by Vibrant Publishers? I got interested in this book besides a new publication because they give solutions to real essay topics. Would appreciate your help. Sorry, Avani, but my current job doesn't allow enough time for more book reviews. However, if I were you, I wouldn't spend too much time and energy on the AWA. Reading the dedicated portion of any of the major books should be enough, really. The author Dana Jinaru gets email notifications for all questions or replies to this post.